Citing information received from mobile app analytics platform Appsee, a report by MacRumors is claiming that the 2018 iPad Pro models appear to have the same display resolutions as the current generation 10.5-inch and 12.9-inch models. 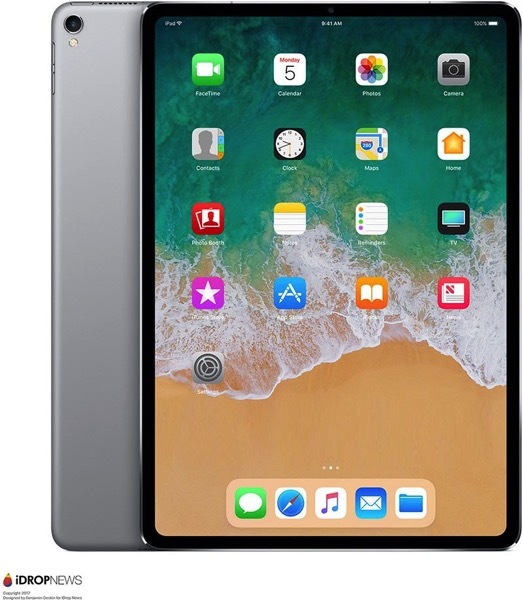 The analytics firm has also revealed that 2018 iPad Pro model identifiers iPad8,1; iPad 8,2; iPad8,3; iPad 8,4; iPad 8,5; and iPad 8,8 have been appearing in its device logs since August 1. Although the firm has yet to see any iPad8,6 or iPad8,7 sessions appear in its analytics, those models most likely exist as well. According to Appsee’s logs, the iPad8,1 through iPad8,4 models have a resolution of 1,112 × 834 points, while the iPad8,5 and iPad8,8 have a resolution of 1,366 × 1,024 points. It must be kept in mind that point resolution is different from pixel resolution. iPad Pro displays use Apple’s high-resolution @2x modifier, meaning there are four pixels for every point. As such, simple math reveals that the new iPad Pro models in the logs have resolutions of 2,224×1,668 and 2,732×2,048 pixels, identical to that of the current 10.5-inch and 12.9-inch models respectively. The data suggests that iPad Pro models with Face ID will have the same-size 10.5-inch and 12.9-inch displays, and retain 4:3 aspect ratios. However, the overall dimensions of the tablets are likely to shrink, as the iPad Pro is expected to receive an iPhone X-esque redesign with an edge-to-edge display. Appsee has a proven track record of accurately identifying upcoming iOS device models in its logs. The firm had correctly identified the original iPad Pro’s resolution a couple of months ahead of its official release in 2015.